Kryptono’s new mobile app FIATO will soon be available for free download — first on Google Play, and thereafter on the App Store. 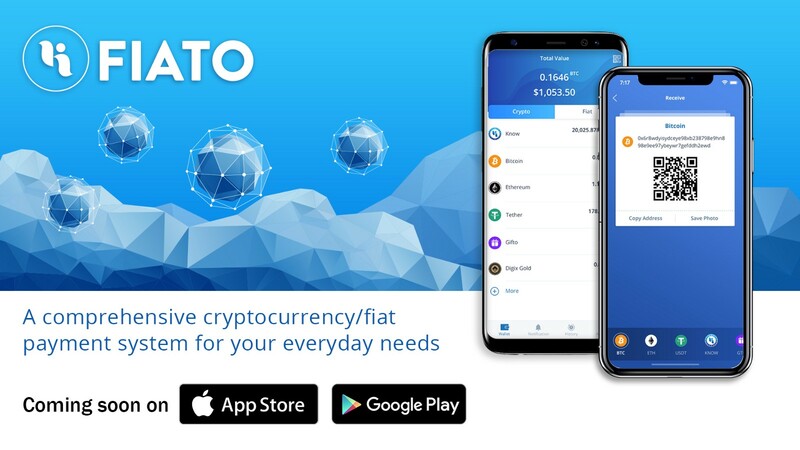 FIATO is the mobile extension of Kryptono Exchange, allowing Kryptono users to conveniently store, manage, and use their various cryptos through their mobile phones. 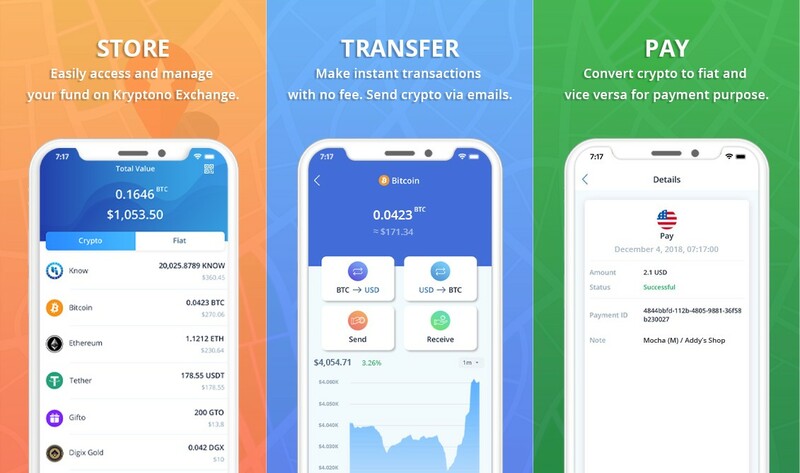 They can also make instant transactions on FIATO without any fees, and convert their funds both ways between crypto and fiat. To get public feedback on FIATO ahead of its launch, we sought early adopters and set up a beta testing program. Registered beta testers will be rewarded with 1,000 KNOWs for completing the test program and survey. We will be sending FIATO to our beta testers soon. See FIATO’s website for more details about the app. Our vision is of a world where cryptocurrency use is a common reality, grounded in our work being the crypto platform for everyone, everywhere, everyday. Shaped by thoughtful, intuitive products specially tailored in-house, we help bring tomorrow’s crypto to you today. Our range of products include Kryptono Exchange with P2P Trading Function (a comprehensive cryptocurrency exchange built with innovation and security in mind for users), Kryptono Trading Simulator (the free simulator for anyone to learn and practice crypto trading) and XPAD (the launch platform for great IEO projects).